In 2014 the world is moving fast–faster than it used to. There is more to do, see, take care of, and stress over than ever before. Meanwhile, people are living longer thanks to modern medicine. The stress and the storm of mental activity are hurting our longevity. Qigong is known around the world to be a natural practice that promotes health. It can impact your daily life in many ways, but most importantly a regular practice has been shown to increase your longevity. The effect of a consistent Qigong practice goes far beyond regular diet and exercise, allowing practitioners to live healthy, happy, active lives well into old age. The history of Qigong masters shows that this art may be the best tool we have for improving our longevity. Francesco Garri Garripoli, a long time practitioner of Qigong, wrote about the phenomenon in his 2010 article, The Quest for Longevity, A Taoists Perspective. While traveling through China he met with several Qigong masters including Duan Zhi Liang and Luo You Ming, both of whom were well into their 90’s. He describes them as having, “agile bodies and lucid minds. They all shared a common sense of humor, enjoying a good laugh or playing practical jokes on me. They also shared the consistent, daily practice of Qigong.” He goes on to say that, “I believe their vibrancy was due to their utilization of Qigong’s physical exercise and mental calming techniques.” These masters are just two examples of the increased longevity that a Qigong practitioner can enjoy. The evidence is documented throughout history. 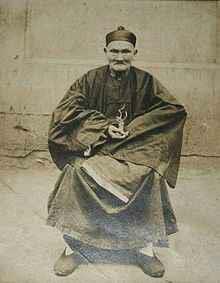 Perhaps the most famous Chinese medicine tale of all is that of Li Ching-Yuen. He was an herbalist, healer, and Qigong practitioner. His death made news all around the world in 1933, including in the New York Times, for he was reported to be over 200 years old! The exact year of his birth is disputed; however it was discovered by Professor Wu Chung-Chieh of the University of Chengdu that the Imperial Chinese government had sent official congratulations to Li Cing-Yuen on both his 150th and 200th birthdays. Chinese General Yang Sen wrote an article entitled “A Factual Account of the 250 Year-Old Good-Luck Man.” In which he described him as having stood seven feet tall with good eyesight, a brisk stride, and a ruddy complexion. While it is unlikely that Qigong practice will allow an individual to live for over 200 years, the regular practice of mental calming techniques and physical exercises that have honed and practiced for thousands of years can improve anyone’s longevity. Our world is one in which we often feel overwhelmed and stressed, and these periods of anxiousness affect our health and well being. The art of Qigong is one of the natural keys to living a long and healthy life.